U.S. Army Sgt. 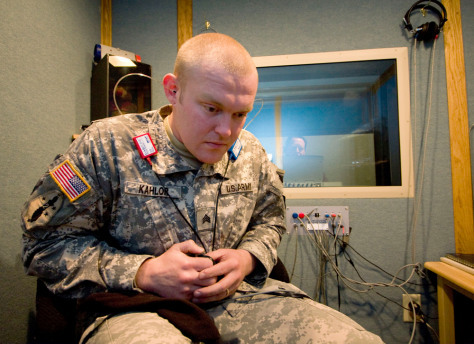 Ryan Kahlor listens for sounds as his hearing is tested at Balboa Navy Medical Center in San Diego, Feb. 6, 2008. Kahlor's hearing was damaged by exposure to multiple IAD blasts in Iraq.